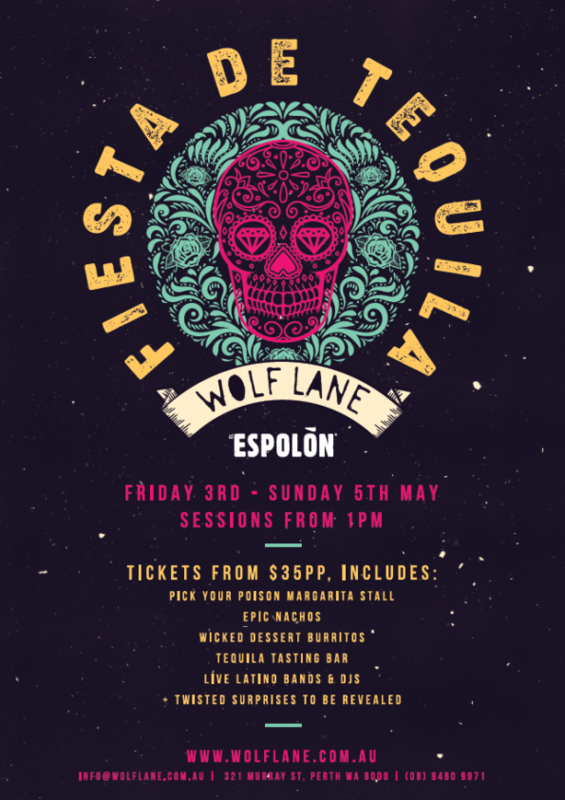 Journey down Wolf Lane as we celebrate all things tequila with a Fiesta de Tequila Laneway Festival! x Espolòn Tommy’s Margarita with a fruity kick – pick your poison: passionfruit, mango or blood orange! Live music and DJs with a Mexican twist… ¡Buena onda!